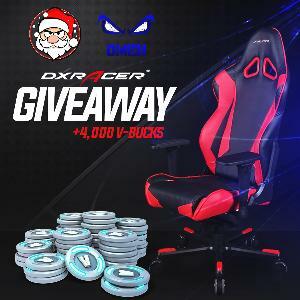 Prize: 1st Place: DXRacer Gaming Chair; 2nd-5th Place: 1,000 Fortnite V-BUCKS. Statistics: This contest was opened by 171 and entered by 16 ContestChest.com members. 9% of those who opened the contest, entered it.